Eco-Ventures (Business Incubator) – Eco Alianza de Loreto | Loreto, B.C.S. 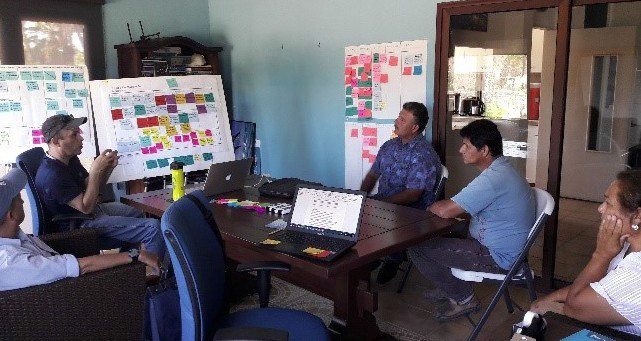 Now under development, Eco-Alianza’s business incubator uses proven methodologies to transform sustainable entrepreneurial ideas into environmentally-friendly businesses — businesses that support the conservation ethic of Loreto while providing employment and income for Loreto residents. Working in coordination with the municipal tourism department, fishing cooperatives, the local university (UABCS Loreto) and several other partners, the Community Center for Economic Development will serve as an “eco- incubator” of new and ongoing ventures (Eco-Alianza Eco-Ventures). It will provide entrepreneurial training and expertise to support the generation of alternatives to traditional small-scale fishing. After a prototype testing and validation phase, Eco-Ventures will build capacity over the next several years, ultimately resulting in healthy, sustainable local businesses, reduced stress on local natural resources, and employment opportunities for local residents creating alternative livelihoods.